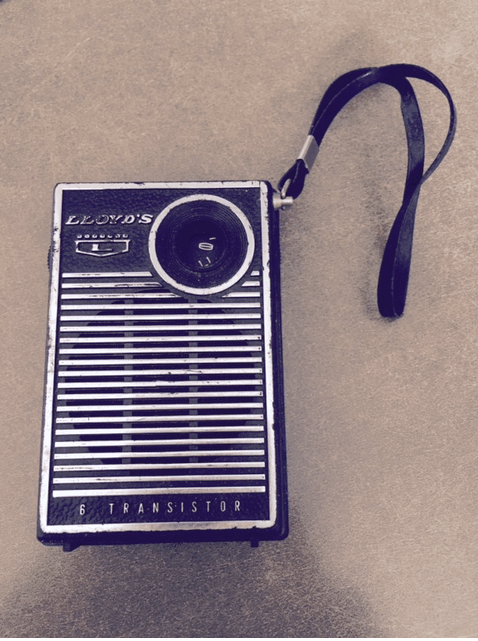 I’ve been fascinated by radio since my grandmother gave me a Lloyds transistor radio for my sixth birthday. I didn’t ask for it nor did my parents tell my grandmother that she should get one for me. Yet if it wasn’t for this thing, who knows what I’d be doing for a living today? I certainly wouldn’t be co-hosting a podcast called Geeks and Beats. On this week’s show, Michael and I geek out a bit about old-school radio, specifically The Big 8 CKLW in Windsor/Detroit. As radio stations go, few achieved this kind of legendary status. A station like this could never, ever work today. You’ll hear why. We talk about the demise of the Columbia Records and Tapes Club. Gadget Ninja Erin Lawrence has info a new luggage tracker called Trakdot. Want. You have entered to win a new Powerstick phone charger, right? Do it through our Patreon system! I noticed something with Apple music that I don’t think has been mentioned on the show, thought you guys might want to know about it. Apple and BMW together at last? What driving a Tesla feels like. The new Martin Scorsese HBO drama set in the music industry back in the 70s. Lots of hookers and blow. In case you haven’t heard, Geeks&Beats can now be access via Nightflight, a website inspired by the USA Networks all-night show of the same name from the 80s. You’d better give it a look especially if, um, you’re of a certain age. You know who you are. Laura Mainella liked this on Facebook. Ann Marie Perreault-Oliverio liked this on Facebook.